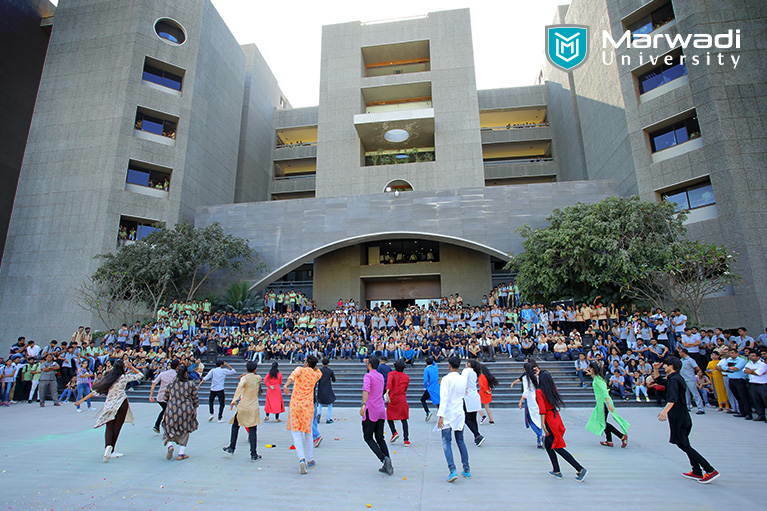 For Marwadi University, education is to learn, play and volunteer. Hence, we, at Marwadi University, provide opportunities to its students to grow, pursue their passion, and stand strong against challenges faced on global-level. Here’s how we continuously thrive for all-round development of our students. Sports include Cricket, Hockey, Soccer, Volleyball, Badminton, Tennis, Table Tennis, Races, Long/High jumps, Short-put, Javelin throw, Discus throw, Football, Chess, and Carom. Marwadi University organizes various intra and inter-college competitions and tournaments in all these games every year. Winners of these tournaments are given awards, medals, and certificates. Adequate sports equipment’s and facilities are provided on campus that includes a sports area needed for indoor and outdoor activities. We also conduct adventurous and recreational activities like spiritual talk, meditation, and mountaineering activities. There is a school of yoga that helps students and staffs in stress management. The presence of a fitness club on campus motivates students to maintain their health through physical exercises. 5+ Awareness programs in different villages. There are music and dance club where students are trained by professionals. Instruments like Western Keyboard, Western Drums, Tabla, Harmonium, Electronic Drums, and Guitar are available to learn all goners of Music. Marwadi University has zonal and state level champions in music competitions. The amphitheater is available for students where movie shows are organized every Saturday, especially for hostel students. Cultural club executes festive shows like Ganesha utsav and Navratri on campus. We, at Marwadi University, provide ample opportunities to grow and develop as a person. To get more information about college activities, visit our website.